Kentucky Sen. Rand Paul could push the Senate’s session into the weekend if he doesn’t back off of a promise to filibuster all legislation as long as Senate leadership keeps a bill to stop sending aid to Pakistan off of the floor. The obstruction is a replay of last week’s Senate session when Paul stood in the way of a veterans’ jobs bill in an effort to see his anti-Pakistani funding bill on the floor. In a letter to his colleagues, Paul requested that his fellow lawmakers join his cause to stop backing Pakistan as long as the country keeps playing “both sides of some of the most important issues while openly thwarting our objectives in the region” and continues holding Shakil Afridi, the man who assisted the U.S. with its efforts to locate and kill Osama bin Laden. This week, however, Paul has expanded his efforts. After rebels seized the U.S. embassy in Egypt and Libyan rebels murdered four Americans including Libyan Ambassador Christopher Stevens, Paul is calling for a bill to halt funding to those nations as well. Meanwhile, the White House has other plans to handle the attacks on the embassies in Egypt and Libya. Because the attackers were not affiliated with the government, Secretary of State Hillary Clinton will look to Congress to authorize more funding to support Egypt in its quest for democracy. Paul’s protest won’t endanger the Senate’s ability to pass a continuing resolution to keep the government funded for another six months, but it could significantly affect the Senate’s ability to stay on schedule. The House passed the stopgap measure 329 to 91, but Paul’s floor protest could push the Senate into a weekend session. The White House has decided that President Obama will not offer formal condolences — at least for now — to Pakistan for the deaths of two dozen soldiers inNATO airstrikes last week, overruling State Department officials who argued for such a show of remorse to help salvage America’s relationship with Pakistan, administration officials said. The American and Pakistani accounts of the NATO strikes vary widely. A former senior American official briefed on the exchange said Wednesday that the airstrikes came in the last 15 to 20 minutes of a running three-hour skirmish, presumably with Taliban fighters on one or both sides of the border. That is at odds with the Pakistani account that its troops were in a two-hour firefight with the Americans. Pakistan, rejecting the American account, has blocked all NATO logistical supplies that cross the border into Afghanistan, given the Central Intelligence Agency 15 days to vacate the Shamsi air base from which it has run drone strikes into Pakistani tribal areas and announced that it will boycott an international conference on Afghanistan’s security and development next week in Bonn, Germany. With everything at stake in the relationship with Pakistan, which the United States sees as vital as it plans to exit from Afghanistan, some former Obama administration officials said the president should make public remarks on the border episode, including a formal apology. “Without some effective measures of defusing this issue, Pakistan will cooperate less rather than more with us, and we won’t be able to achieve our goals in Afghanistan,” said Vali Nasr, a former State Department official who specialized in Pakistan. But David Rothkopf, a former Clinton administration official and the author of “Running the World: The Inside Story of the National Security Council and the Architects of American Power,” said Pakistani officials need to understand that in the next year, the Obama administration will be less accommodating to Pakistani sensibilities. NATO helicopters and fighter jets attacked two military outposts in northwest Pakistan Saturday, killing as many as 28 troops and plunging U.S.-Pakistan relations deeper into crisis. Pakistan shut down NATO supply routes into Afghanistan – used for sending in nearly half of the alliance’s land shipments – in retaliation for the worst such incident since Islamabad uneasily allied itself with Washington following the September 11, 2001 attacks on the United States. Islamabad also said it had ordered the United States to vacate a drone base in the country, but a senior U.S. official said Washington had received no such request and noted that Pakistan had made similar eviction threats in the past, without following through. NATO and U.S. officials expressed regret about the deaths of the Pakistani soldiers, indicating the attack may have been an error; but the exact circumstances remained unclear. “Senior U.S. civilian and military officials have been in touch with their Pakistani counterparts from Islamabad, Kabul and Washington to express our condolences, our desire to work together to determine what took place, and our commitment to the U.S.-Pakistan partnership which advances our shared interests, including fighting terrorism in the region,” said White House national security council spokesman Tommy Vieter. U.S. Secretary of State Hillary Clinton and Pakistani Foreign Minister Hina Rabbani Khar spoke by telephone, as did General Martin Dempsey, the chairman of the Joint Chiefs of Staff, and Pakistani Chief of Army Staff General Ashfaq Parvez Kayani. The NATO-led force in Afghanistan confirmed that NATO aircraft had probably killed Pakistani soldiers in an area close to the Afghan-Pakistani border. “Close air support was called in, in the development of the tactical situation, and it is what highly likely caused the Pakistan casualties,” said General Carsten Jacobson, spokesman for the International Security Assistance Force (ISAF). He added he could not confirm the number of casualties, but ISAF was investigating. “We are aware that Pakistani soldiers perished. We don’t know the size, the magnitude,” he said. Two military officials said up to 28 troops had been killed and 11 wounded in the attack on the outposts, about 2.5 km (1.5 miles) from the Afghan border. The Pakistani military said 24 troops were killed and 13 wounded. The attack took place around 2 a.m. (2100 GMT) in the Baizai area of Mohmand, where Pakistani troops are fighting Taliban militants. Across the border is Afghanistan’s Kunar province, which has seen years of heavy fighting. “Pakistani troops effectively responded immediately in self-defense to NATO/ISAF’s aggression with all available weapons,” the Pakistani military statement said. Around 40 troops were stationed at the outposts, military sources said. Two officers were reported among the dead. “They without any reasons attacked on our post and killed soldiers asleep,” said a senior Pakistani officer, requesting anonymity. The border is often poorly marked, and Afghan and Pakistani maps have differences of several kilometres in some places, military officials have said. 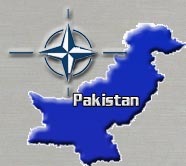 However, Pakistani military spokesman Major-General Athar Abbas said NATO had been given maps of the area, with Pakistani military posts identified. The incident occurred a day after Allen met Kayani to discuss border control and enhanced cooperation. Pakistan is a vital land route for nearly half of NATO supplies shipped overland to its troops in Afghanistan, a NATO spokesman said. Land shipments account for about two thirds of the alliance’s cargo shipments into Afghanistan. Hours after the raid, NATO supply trucks and fuel tankers bound for Afghanistan were stopped at Jamrud town in the Khyber tribal region near the city of Peshawar, officials said. The border crossing at Chaman in southwestern Baluchistan province was also closed, Frontier Corps officials said. A meeting of the cabinet’s defense committee convened by Gilani “decided to close with immediate effect NATO/ISAF logistics supply lines,” according to a statement issued by Gilani’s office. The committee decided to ask the United States to vacate, within 15 days, the Shamsi Air Base, a remote installation in Baluchistan used by U.S. forces for drone strikes which has long been at the center of a dispute between Islamabad and Washington. A similar incident on Sept 30, 2010, which killed two Pakistani service personnel, led to the closure of one of NATO’s supply routes through Pakistan for 10 days. NATO apologised for that incident, which it said happened when NATO gunships mistook warning shots by Pakistani forces for a militant attack. Relations between the United States and Pakistan were strained by the killing of al Qaeda leader Osama bin Laden by U.S. special forces in Pakistan in May, which Pakistan called a flagrant violation of sovereignty. Pakistan’s jailing of a CIA contractor and U.S. accusations that Pakistan backed a militant attack on the U.S. embassy in Kabul have added to the tensions. “This will have a catastrophic effect on Pakistan-U.S. relations. The public in Pakistan are going to go berserk on this,” said Charles Heyman, senior defense analyst at British military website Armedforces.co.uk. A journalist-turned politician, Ms. Sherry Rehman, will soon proceed to Washington to assume responsibility as Pakistan’s new ambassador where she would face tough task as how to bridge the trust gap with the United States. Prime Minister Yusuf Raza Gilani appointed Sherry Rehman as Pakistan’s new ambassador in Washington a day after her predecessor Hussain Haqqani resigned over a recent claim by a Pakistani-American business tycoon that he had been asked by Haqqani to deliver the alleged President Asif Ali Zardari’s memo to the former U.S. Chairman of the Joint Chiefs of Staff Mike Mullen, seeking Washington’s help to rein in the powerful army. Haqqani, who was summoned to Pakistan this week after the memo controversy dragged the country into crisis, was asked by the Prime Minister to quit during a meeting attended by the President, the Army Chief General Ashaq Pervaiz Kayani and Intelligence Chief, Lt. Gen. Ahmad Shuja Pasha in Islamabad on Tuesday. Sherry Rehman, a former Information Minister and current member of the National Assembly or Lower House of the parliament, is also a central leader of the ruling Pakistan Peoples Party. She was chosen for the key post only because of her association with the ruling party as she has no diplomatic career. Islamabad routinely appoints ambassadors to the United States on a political basis. Several retired military men have also served as the country’s ambassadors to the U.S.. The Pakistani government has designated a political loyalist and the woman ambassador to the U.S at a time when mistrust between the two key allies in the so-called war on terror is at peak. Pakistan and the U.S. cooperation is considered a key to stability in Afghanistan as Washington is mounting pressure on Islamabad to take measures in “days and weeks” to encourage the Taliban, the dreaded Haqqani network and other Afghan armed groups to join the peace and reconciliation process in the war-ravaged Afghanistan. “It’s like that old story – you can’t keep snakes in your backyard and expect them only to bite your neighbors. Eventually those snakes are going to turn on whoever has them in the backyard, ” US Secretary of State Hillary Clinton said while standing along with her Pakistani counterpart in Islamabad last month in a blunt message to Pakistan. The first major challenge the Pakistan new ambassador will have to face is how to address to the U.S. concern about the Afghan Taliban and Haqqani network, which the U.S. officials say are operating from Pakistan’s tribal region. Washington seemed to be in haste on the Afghan peace process in view of its troops’ withdrawal, which already began in July and will be completed by 2014. The Pakistani Taliban is also an issue for the U.S. as the CIA says that they are sheltering Afghan armed militants in the country’s lawless tribal regions bordering Afghanistan. In view of its frustration, the U.S. routinely uses its spy aircraft to hit targets in Pakistan tribal regions, which is also a source of tension in bilateral relationship and the U.S. is in no mood to stop drone strikes despite Pakistan’s criticism. The new Pakistani ambassador will also have to convince the U.S. administration to unblock the suspended military aid to Pakistan. The U.S. withheld some 800 million US dollars in assistance to the country’s armed forces in July just two months after Osama bin Laden was killed in a U.S. military raid, the U.S. unilateral action had itself worsened relationship. The U.S. has also attached tough conditions with the civilian aid for Pakistan. Pakistan is nowadays under fire during the Presidential nomination campaign in the U.S. and even on Tuesday Republican presidential candidates attacked Pakistan in their foreign policy debate. The Republican presidential hopefuls ganged up on Pakistan and questioned whether the United States could trust it. Texas Governor Rick Perry called Pakistan unworthy of U.S. aid because it had not done enough to help fight al-Qaida. Criticism at Pakistan by the Republican hopefuls shows how much tough environment she would face after she assumes the office of ambassador in the coming days. She vowed on Wednesday, a day when she was designated as ambassador, to work for improvement of ties with the U.S.. The former Pakistani ambassador to the U.S. had also good ties with the U.S. administration and his role was praised by the State Department spokesman, Mark Toner, but even then the relationship had been worst during his tenure. Now Sherry Rehman will not only have to address to the U.S. concern but also to serve the interests of Pakistan where a majority of the people are against the U.S. policies. Col. Muammar el-Qaddafi, the former Libyan strongman who fled into hiding after rebels toppled his regime two months ago in the Arab Spring’s most tumultuous uprising, was killed Thursday as fighters battling the vestiges of his loyalist forces wrested control of his hometown of Surt, the interim government announced. Al Jazeera television showed what it said was Colonel Qaddafi’s corpse as jubilant fighters in Surt fired automatic weapons in the air, punctuating an emphatic and violent ending to his four decades as a ruthless and bombastic autocrat who basked in his reputation as the self-styled king of kings of Africa. Libyans rejoiced as news of his death spread. Car horns blared in Tripoli as residents poured into the streets to celebrate. Abdul Hakim Belhaj, the leader of the Tripoli military council, said on Al Jazeera that anti-Qaddafi forces had Colonel Qaddafi’s body. It was not clear precisely how he died. Mohamed Benrasali, a member of the national council’s Tripoli Stabilization Committee, said fighters from Misurata who were deployed in Surt told him that Colonel Qaddafi was captured alive in a car leaving Surt. He was badly injured, with wounds in his head and both legs, Mr. Benrasali said, and died soon after. Colonel Qaddafi had defied repeated attempts to corner and capture him, taunting his enemies with audio broadcasts denouncing the rebel forces that felled him as stooges of NATO, which conducted a bombing campaign against his military during the uprising under the auspices of a Security Council mandate to protect Libyan civilians. Libya’s interim leaders had said they believed that some Qaddafi family members including the colonel himself and some of his sons had been hiding in Surt or in Bani Walid, another loyalist bastion that the anti-Qaddafi forces captured earlier this week. 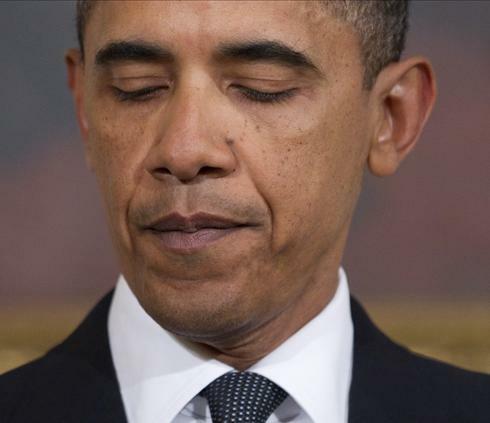 There was no immediate comment on the news of his death from American officials. . There was also no immediate comment from Mustafa Abdel-Jalil, the interim government’s top official. But he had said that the death or capture of Colonel Qaddafi would allow him to declare the country liberated and in control of its borders, and to start a process that would lead to a general election for a national council within eight months. Libyan fighters said earlier on Thursday that they had routed the last remaining forces loyal to Colonel Qaddafi from Surt, ending weeks of fierce fighting in that Mediterranean enclave east of Tripoli. 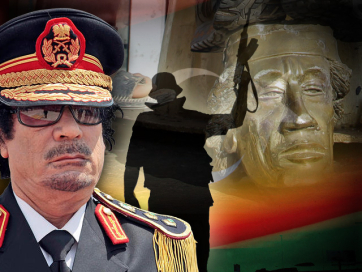 The battle for Surt was supposed to have been a postscript to the Libyan conflict, but for weeks soldiers loyal to Colonel Qaddafi, fiercely defended the city, first weathering NATO airstrikes and then repeated assaults by anti-Qaddafi fighters. Former rebel leaders were caught off guard by the depth of the divisions in western Libya, where the colonel’s policy of playing favorites and stoking rivalries has resulted in a series of violent confrontations. Surt emerged as the stage for one of the war’s bloodiest fights, killing and injuring scores on both sides, decimating the city and leading to fears that the weak transitional leaders would not be able to unify the country. The battle turned nearly two weeks ago, when the anti-Qaddafi fighters laid siege to an enormous convention center that the pro-Qaddafi troops had used as a base. The interim leaders had claimed that the ongoing fighting had prevented them from focusing on other pressing concerns, including the proliferation of armed militias that answered to no central authority. Steven Lee Myers contributed reporting from Kabul, Afghanistan, and J. David Goodman and Rick Gladstone from New York.